MotorSport New Zealand has reached an agreement with WSC Ltd, the global rights holders of Touring Car Racing (TCR), to introduce a national TCR series in New Zealand in 2020. The TCR concept was developed by former World Touring Car Championship manager Marcello Lotti in 2014 as a cost-effective touring car racing alternative. Since its inception in 2015, the TCR..
MotorSport New Zealand has recently completed a comprehensive review of its strategy for top-level saloon car race categories in New Zealand. “The review sets in place a strategic direction for top-level circuit racing for the immediate and medium future,” says MotorSport NZ President Wayne Christie, who has just announced that the fast-growing global Touring Car Racing (TCR) concept would be..
MotorSport New Zealand President Wayne Christie says the decision by Toyota Racing New Zealand to cancel the remaining qualifying sessions and races scheduled for the second round of the 2019 Castrol Toyota Racing Series at Teretonga Park today (Sunday) is understandable given the forecast high wind conditions for Invercargill. “Ultimately, this kind of decision is up to the category manager..
Two New Zealand motorsport stars – five-time IndyCars champion Scott Dixon and the 2018 Australian Supercars champion Scott McLaughlin – have been selected as finalists for the Sportsman of the Year title in the 56th ISPS Handa Halberg Awards. 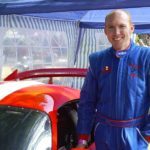 The prestigious awards celebrate and honour sporting achievements from 2018, with organisers the Halberg Foundation announcing 27 finalists for six categories..
MotorSport New Zealand has appointed Elton Goonan as the organisation’s Competitions Manager. The Competitions Manager is a new role within the small MotorSport NZ team, and expands the regulatory and administrative responsibilities previously covered by the Sporting Manager. 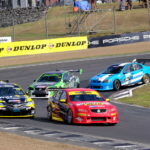 Among other tasks, the Competitions Manager is tasked with helping MotorSport NZ’s 100 member clubs manage and deliver outstanding motorsport events, continuing..